Printed in "Gravestone Inscriptions", Section C, vol.5, Kilnarath par, Ormond Historical Society, 1986.
mar wit by Patrick McGrath and Margaret Humphrys (could be her aunt or 1st cousin). bapt 31st Oct 1839 [Ballynahinch RC par records], sp Patrick Ryan, Mary Ryan. She must be "Anne Foley" who sp bapt of her 1st cousin James Humphrys 1856. She mar 22nd Nov 1864 [Ballynahinch RC par records] to John Coffey and had issue. Marriage wit by John Coffey and Margaret Humphrys (could be her aunt or 1st cousin). he was in horse racing, think breeder. Bridget Coffey, John of God nun in Wexford. died 21 Nov 1904 [gravestone, Ballynahinch], age 61 yrs. 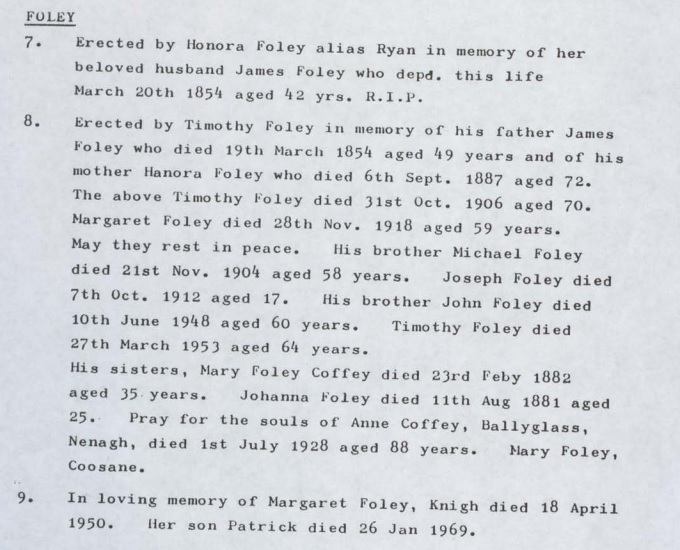 "Mary Foley, Coosane" is listed on the Foley family grave, Ballynahinch. there is a "John Foley" who sp the bapt of his nephew Thomas Foley in Ireland in 1899.
must be "Kate Foley" who sp bapt of her 1st cousin Nora Humphrys 1864.
died 11 Aug 1881, age 25 yrs [gravestone, Ballynahinch]. 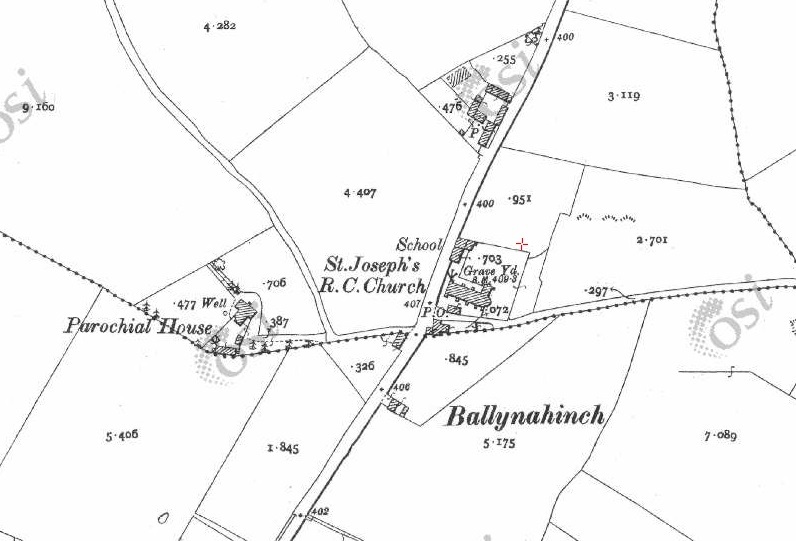 Ballynahinch RC church and graveyard on 1887 to 1913 map.